Most new students spend their first weeks of school in stuffy classrooms. But in a new program through the Department of Folklore at Memorial University, new graduate students spent their first days exploring a small Bonavista Bay fishing community. During the last three weeks of September 2012, the Department of Folklore introduced a new course for incoming graduate students on cultural documentation techniques. 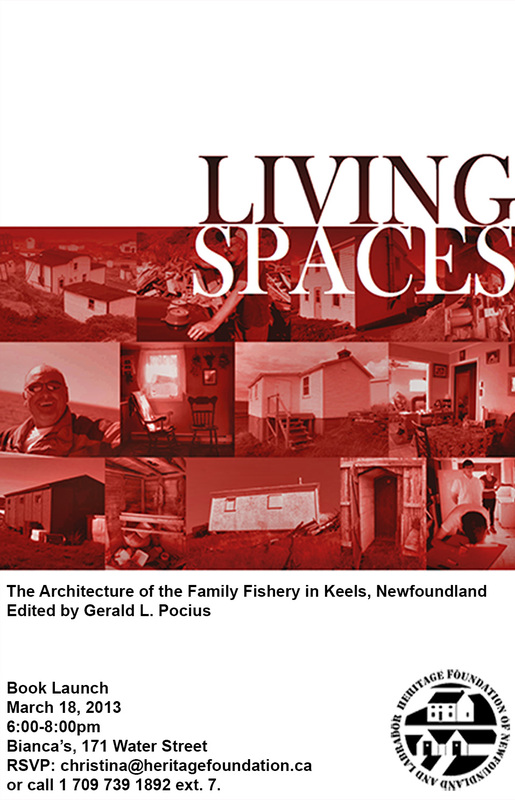 Timed to coincide with this year’s 20th anniversary of the cod moratorium, the field school examined how outmigration and gentrification affected the traditional cultural landscape of the Bonavista region, focusing on the last two inshore fishing families in the community of Keels. Students lived in the town, and worked to document buildings, including homes, fisheries buildings and root cellars. Along the way they interacted with and interviewed locals about their lives and work. The results of the field school, including architectural drawings and descriptions of some of the spaces studied have been put together in a booklet, “Living Spaces: The Architecture of the Family Fishery in Keels, Newfoundland,” edited by Pocius.